TVS DL501 DSG software set to handle more power while improving performance. Notice: Due to varying transmissions between the global market, it is best to purchase the TVS personal flasher first, scan your car, and let us tell you which generation tune to purchase. 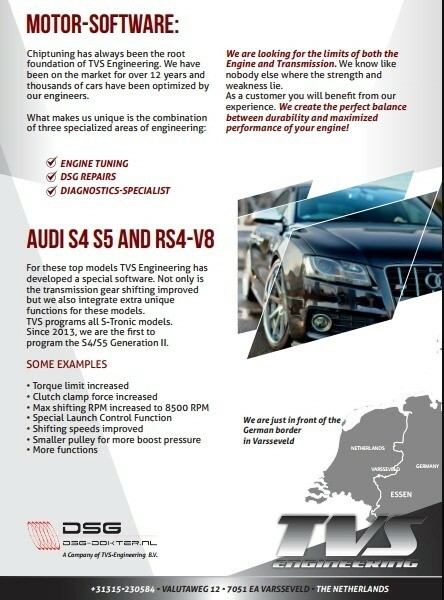 Used in Audi models with Quattro, like: A4/A5/Q5/A6/A7/S4/S5/S6/S7 from 2009- until now. For these top models TVS Engineering has developed a special software. Not only is the transmission gear shifting improved but we also integrate extra unique functions for these models. TVS programs all S-Tronic models. Since 2013, we are the first to program the S4/S5 Generation II. The TVS-Software does not have any negative effects on fuel consumption. POOR GEAR SHIFTS: 2.0L ENGINES When entering into a roundabout, the DSG has the wrong gear selected. This creates a poor throttle response when accelerating out. This happens when the turbo is not matching with the DSG shift programming. UNDER REVVING: 2.0 TDI The gear shifts at extremely low rpm speeds. Most of the times the DSG software when you are driving at 65km/h it is already on the 7th gear and about 1150 RPM. When you give it a slight throttle at low RPM you will hear the engine and transmission start making vibration sounds as well as the flywheel making noises. This sound will become more noticeable over time if not fixed and will result in permanent damage to the flywheel. We can fix this problem: By raising the RPM values we can reduce the frequent up-shifts and down-shifts. 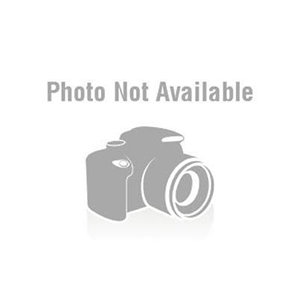 The gear shifting speeds can even be customized to individual request. The engine and DSG transmission will respond better and faster at the throttle. Our unique software also has protective capabilities to reduce the common reoccuring problems that could result in damages to the clutches and gearbox. 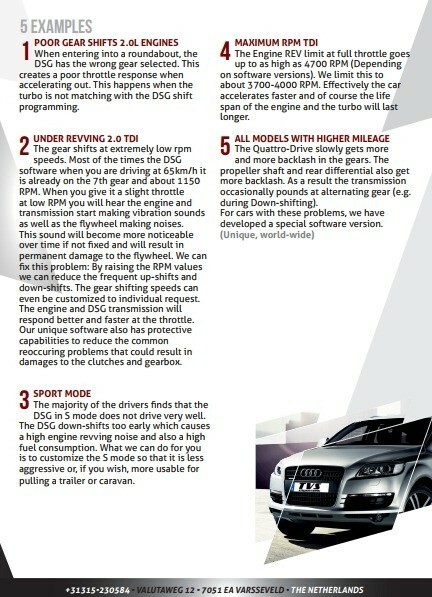 SPORT MODE: The majority of the drivers finds that the DSG in S mode does not drive very well. The DSG down-shifts too early which causes a high engine revving noise and also a high fuel consumption. What we can do for you is to customize the S mode so that it is less aggressive or, if you wish, more usable for pulling a trailer or caravan. MAXIMUM RPM: TDI The Engine REV limit at full throttle goes up to as high as 4700 RPM (Depending on software versions). We limit this to about 3700-4000 RPM. Effectively the car accelerates faster and of course the life span of the engine and the turbo will last longer.